Condo Blues: Everyone Has a Secret. 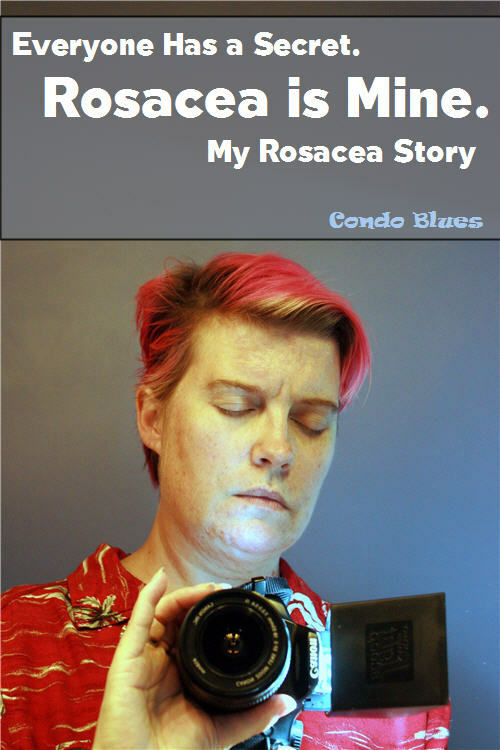 Rosacea is Mine. I am sharing my rosacea story in this sponsored post on behalf of Galderma Laboratories, L.P., the maker of Soolantra® Cream, because I hope by sharing it you won’t have to experience the humiliation I do every day or if you do, I want you to know you are not alone and it can get better. All of the opinions in this post are my own. I’m sharing my deepest secret and the scars I keep hidden. I have rosacea. Rosacea is a chronic, inflammatory skin condition that you can manage but never truly goes away. Before I was diagnosed as an adult, I had a breakout so severe, my forehead was disfigured and I have permanent scars. I’m not one for plastic surgery but if they could remove my scars I’d take it in a heartbeat. The disfigurement and scars mortify me and cut me to my very core. OK. Deep breath. Here goes. This is me. No make-up, rosacea redness, mottling, scars, and all. Approximately 1 in 20 Americans suffer from rosacea. It causes many sufferers (up to 75%) to have low self-esteem and (up to 70%) to feel embarrassed – including me. Growing up I had problems with red bumps and pimples on my chin. My mom didn’t take me to a doctor because like nearly half of the people (actually 49% if you are a numbers person) who suffer from rosacea, I thought the pimples and red bumps were acne before I was correctly diagnosed with rosacea as an adult by a doctor. 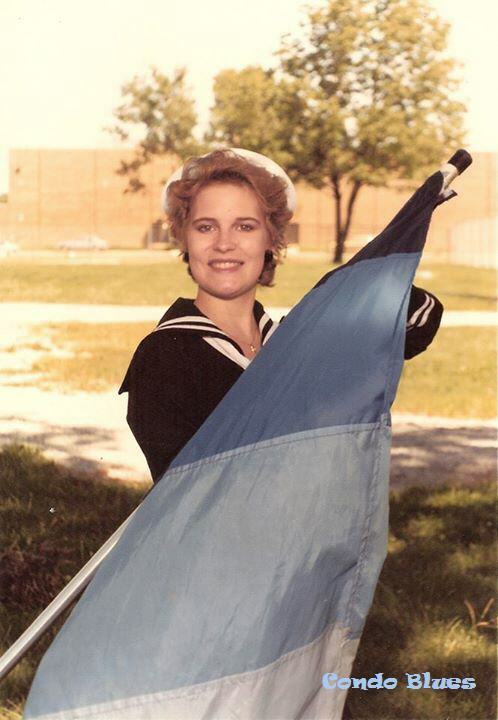 This is a photo of me when I was a senior in high school. You can see a little mottling on my chin from rosacea flares and no scarring at all on my forehead. I continued on with minor flares until later as an adult, an extremely stressful work environment triggered a massive breakout on my forehead that wouldn’t go away no matter what over the counter or home remedy I tried. Because my shame and embarrassment, I let the breakout get so bad for so long it was full of large, red, and swollen bumps that looked like an alien monster from a sci-fi movie. I hid the disfigurement with bangs for almost a year until I saw my family doctor. She was so concerned she referred me to a dermatologist who specializes in skin cancers. Every rosacea sufferer has different triggers. As you can see from the potential triggers chart below, some of them are almost impossible to avoid like heat and cold (we get both extremes on a good day in Ohio) or what you need to do to keep other parts of your body healthy like exercise. My dermatologist and I had to try different topical prescriptions combinations until we found the magic formula that treated my inflammation and calmed my severe rosacea flare. I really wish a topical prescription like Soolantra® (ivermectin) Cream, 1%, existed at the time because instead of using 3 topical medications twice a day, I might have been able to use Soolantra Cream once a day. Soolantra Cream is FDA-approved and reduces rosacea bumps and pimples using the active ingredient ivermectin. While the exact mechanism of Soolantra Cream is unknown, the anti-parasitic properties of ivermectin may be linked to the death of Demodex mites, which are thought to play a role in rosacea-related skin inflammation. Yay! Not only that but Soolantra Cream is designed to be gentle on the skin because Cetaphil Moisturing Cream was the basis for the vehicle. Many dermatologists recommend it because it is non-irritating and fragrance-free. Fortunately, with the help of my wonderful doctors, I may still have my embarrassing rosacea battle scars but I can now control my rosacea. I am also thankful that they are still doing research on the cause of and treatment for rosacea, which leads to the development of medications like Soolantra Cream if I ever need it in the future. The only difference is now I won’t wait for my flare to hit critical mass before I see my dermatologist about it. Don’t just take my word for it. Discuss it with your doctor and if they think it is right for you, print the Soolantra Cream savings card here and take it with you to your pharmacy. Your wallet will be happy you did. Thanks for sticking with me through this post. It was difficult to write. This is a sponsored post written by me on behalf of Galderma Laboratories, L.P., the maker of Soolantra® Cream. All opinions are my own. Indication: SOOLANTRA® (ivermectin) Cream, 1% is indicated for the treatment of inflammatory lesions of rosacea. Not for oral, ophthalmic or intravaginal use. Adverse Events: In clinical trials with SOOLANTRA Cream, the most common adverse reactions (incidence ≤ 1 %) included skin burning sensation and skin irritation.